I’ve always wanted to make Schmitt reproduction doll but never had a chance till now. 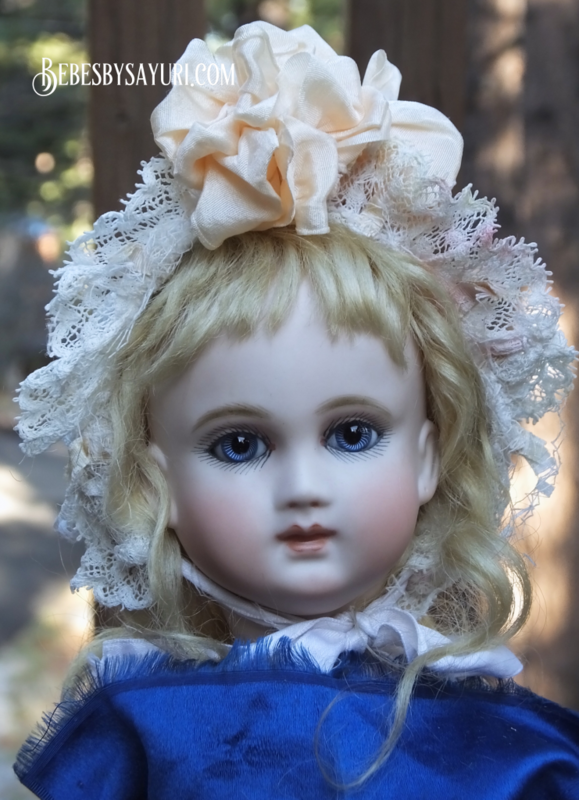 Despite of the fact that antique Schmitt doll comes with few different types of faces, available head mold for reproduction doll is very limited. Fortunately there is one mold happen to have the face I like and she makes 14 inch cabinet size doll. I do prefer bit larger size like around 20 inches but that’s okay. 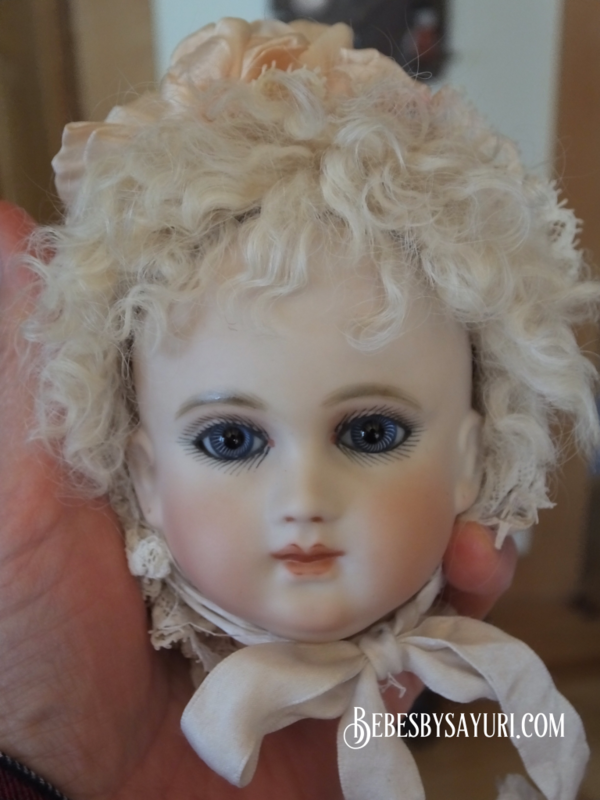 I am making this doll just for fun to keep as part of my collection. I know many of you are waiting for my next doll for sale but this kind of small pleasure helps to inspire me to make better dolls in future. She looks good on blue fabric. Antique Schmitt often wearing this type skin wig. She looks great on this wig too!